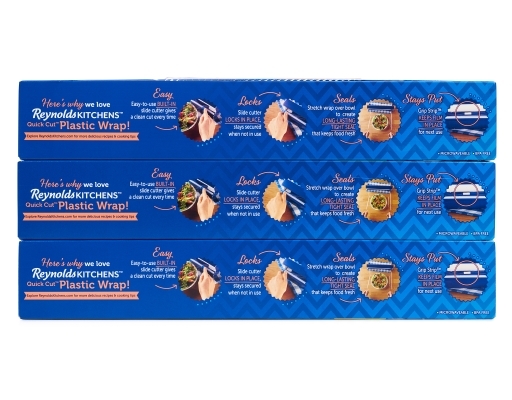 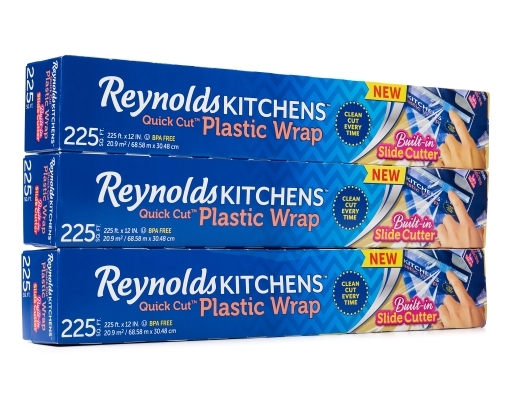 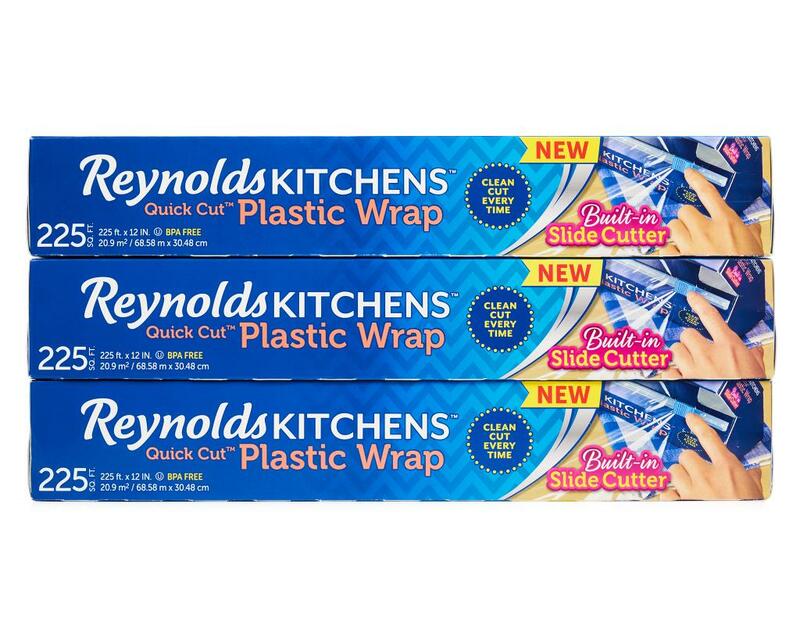 With innovative features that solve the most frustrating parts about using cling wrap, Reynolds Kitchens Quick Cut Plastic Wrap is raising the bar. 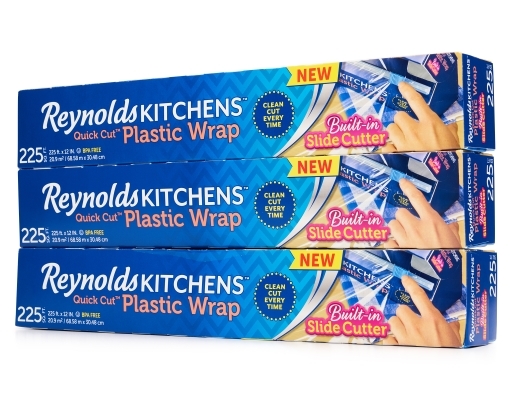 Thanks to the built-in slide cutter, you get a clean cut each time. 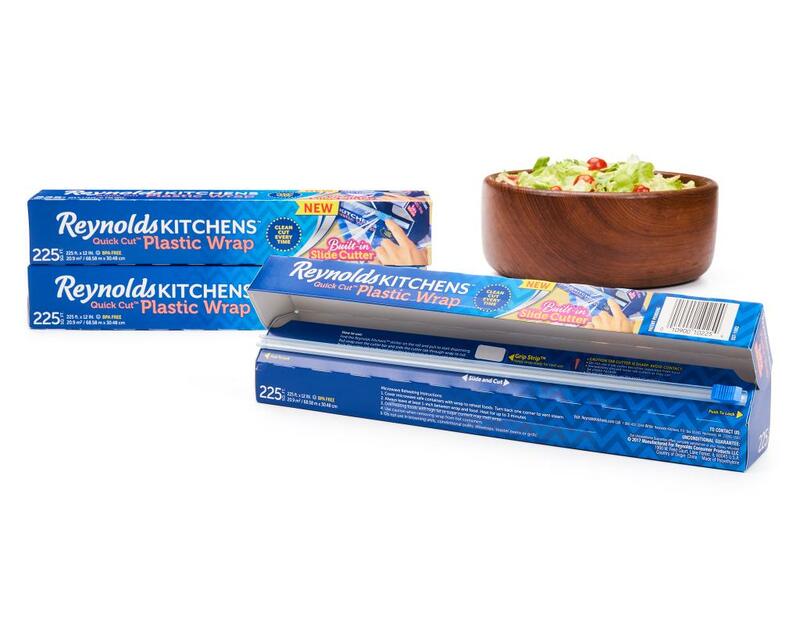 No more tangled mess, no more wasting product. 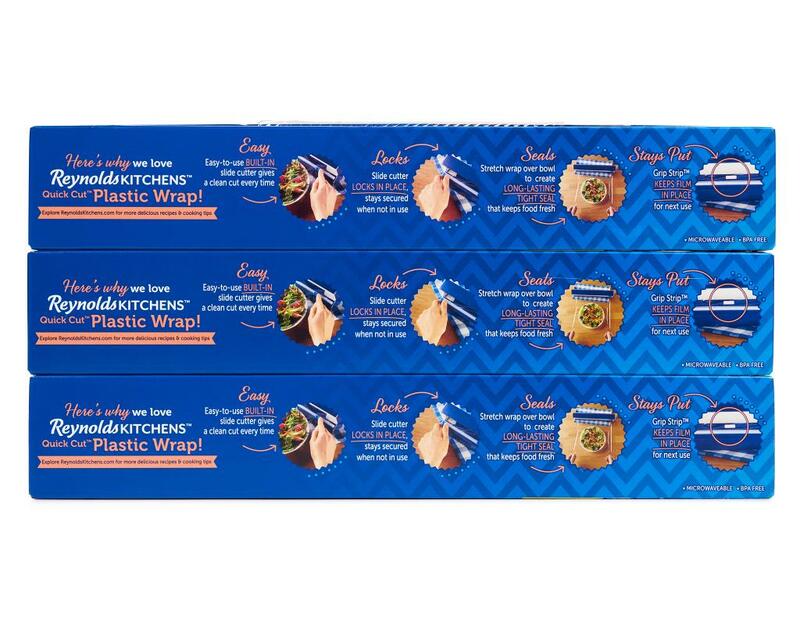 Getting a new roll started is simple with the starter edge tab and dispensing is made even easier because the roll is secured by automatic end tabs. 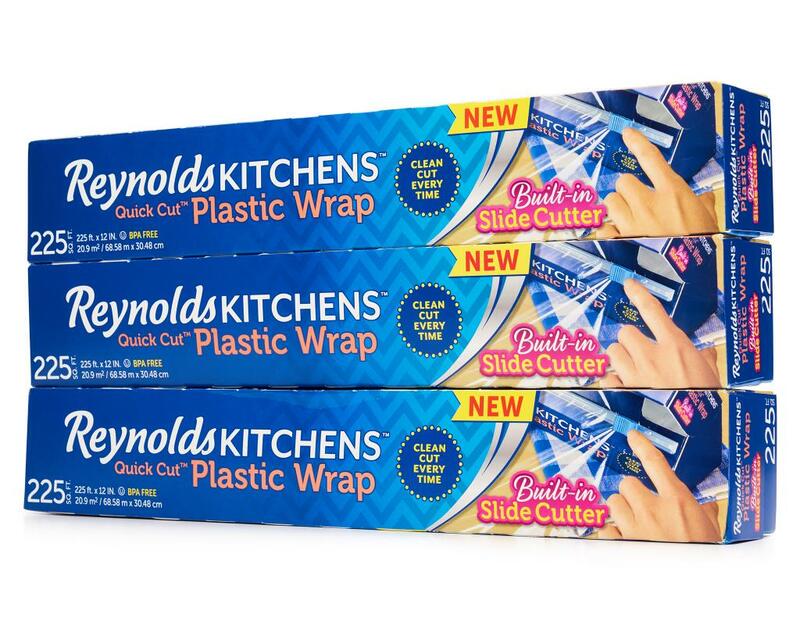 When you’re done using your Reynolds Kitchens Quick Cut Plastic Wrap, the slide cutter locks into place and the grip strip can be used to hold the end of the roll so that it’s ready for your next use. 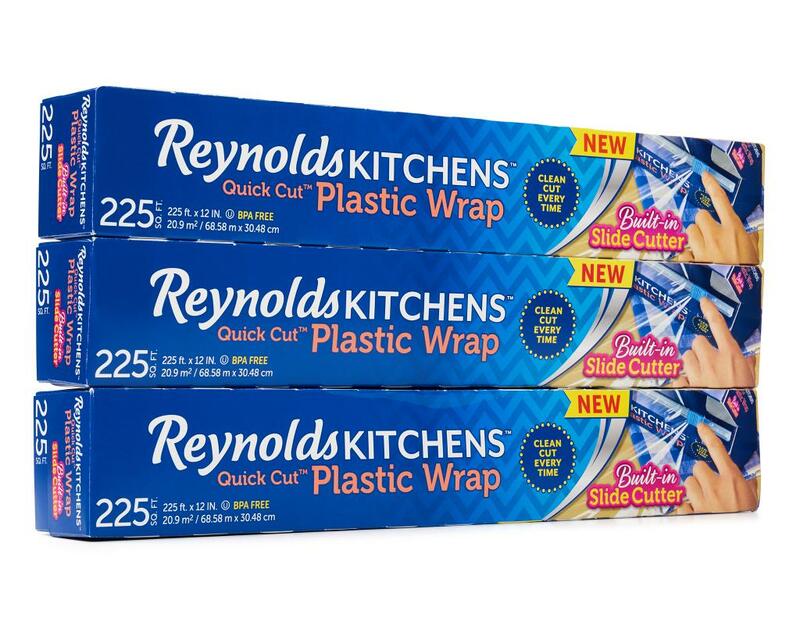 Reynolds Kitchens Quick Cut Plastic Wrap is also BPA free and provides a long-lasting, tight seal to keep your food fresh.